Internet gambling, web gaming whatever you call it has often been dubbed a ‘mug’s game’. So what exactly is a mug’s game? The Urban Dictionary describes it as a game of chance, a fools game and a game of randomness. To be honest when it comes to gambling over the Internet this is an apt description and for good reason. In this article I’m going to discuss common mistakes players often make and how to avoid them. At the end of the day it all begins and ends with the terms and conditions of the online casino. Most players are so eager to start playing their favorite game that they often forget to read the fine print. With the advent of the Internet never before has gambling been so appealing-you can simply place a bet from the comfort of you own home. To sail like a majestic schooner on a calm sea, it’s imperative to avoid the following mistakes before you embark on your cyber gambling journey. The internet is the biggest boon bookmakers ever had. Gamblers are no longer restricted by opening hours, the only limitations they suffer are governed by the amount of cash they have and the speed of their internet connections. The deposit or sign on bonus is a nice incentive online casinos use to ‘bait’ new players to sign up. Although it’s a very appealing offer it has left many a player disgruntled in the past. How come? First of all, the casinos normally advertise the bonus as ”free money”. This is not the case since the bonus comes with a certain play-through attached to it that must be cleared first before a withdrawal is allowed. Secondly, the bonus can only be used to play certain games such as slots, keno or scratch cards. Individual games are weighted, slots count 100% and certain games like blackjack, roulette or video poker only contribute 10%. If you use the bonus to play blackjack you must wager more cash before you can withdraw your winnings. Why? Slots normally have a very high house edge whilst blackjack has a low one which predominantly favors the player. Thirdly, steep wagering requirements. If the play-through of the bonus is more than 40 times it’s in your best interest not to accept it. Normally operators offer huge deposit bonuses with a very steep wagering of 80 times attached to it, avoid. Some bonuses also have a maximum bet rule of 10% of your deposit-another ridiculous term. I often get into a ‘heated’ debate with agents who justify this unfair rule by saying that they have to make their money too. Before you accept a bonus read its terms. At times I get the feeling that the bookmakers and online casinos are giving nothing away with their bonus offers. You win with your bonus and aren’t allowed to cash your winnings until you have given them a chance of taking it back again. You lose with a bonus, then you are tempted to risk your own cash, which is exactly what they want. The way in which the wagering requirements are structured makes it difficult for gamblers to successfully cash out their winnings. The small print and the terms and conditions which apply to the online casinos’ bonuses contrast vividly with the way in which they’re advertised. These bonuses are often designed to literally flash before your eyes and there’s no way new players can resist them. Why play with $50 when you can play with $100? A minimum play-through of 30 times or less. It must become cashable once you’ve cleared the wagering requirements. Must not have a max. bet rule. As more countries begin to regulate internet gambling more markets are opening up. I regard the following jurisdictions as reputable: Alderney, Gibraltar, Isle of Man, Malta and the United Kingdom. 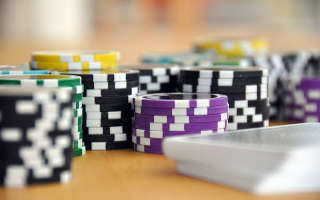 Operators licensed here must adhere to stringent criteria such as responsible gambling policies, player payment dispute resolution, well-trained staff, player incentives and quality games. The mistake many players make is that they don’t always check in which jurisdiction the operator is licensed. It so happens that a player signs up with an operator licensed in Costa Rica. Arguably one of the worst jurisdictions since it has become a breeding ground for rogue operators. Not only are the licenses cheap but the Costa Rica government is very slack when it comes to policing and enforcing its gambling laws. Before you sign up with an operator please check if it is licensed in a reputable jurisdiction. There are numerous software providers but none match the graphic quality of Betsoft, Evolution Gaming, IGT, Microgaming, Net Entertainment, Play N’ Go just to name but a few. 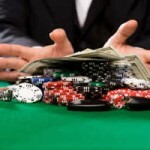 Most reputable online casinos normally have these software providers in their stable. They’ve stood the test of time. They offer a compendium of games plus the graphics and animations that feature in them are superb. They offer a host of customization features such as Auto Spin, game speed, graphics and audio settings. They release new games every month. Make sure that the operator you’re about to wager at is powered by one of these software. Unknown software providers normally have a very limited game selection and they tend to ‘freeze’ quite often which devalues the player experience. The operator ‘encourages’ you to wager back the money you’ve just won. It will take more than three years before you’re paid in full! Reputable operators do not include progressive wins in their withdrawal limit since they pay progressive wins in full. Joyland Casino powered by Playtech is a shining example of an operator that imposed a withdrawal limit on progressive wins: ”There was a situation in 2009 where a player, Sylvia P won more than $4.1 million dollars playing Beach Life at Joyland Casino. Joyland had a $9,000 per month withdrawal limit (which is still there). Totally absurd – do the math – that would have taken about 39 years to pay out. What occurred next was one of the most corrupt episodes in online gaming history.” You can read more about it on this page. Aside from the withdrawal limit operators take ages before they process a withdrawal. I’ve heard of a case where it took 120 days before a player received a small payment. Before you deposit check the operator’s withdrawal time frame. If it takes more than 5 business days to process a simple payment take a wide berth. Bookmakers are full of goodwill if they fear losing a mug-sorry-client. Read the terms and conditions in future, which is obviously sound advice since many players still fail to do so. For a start most operators never call it the ‘small print’ but ‘terms and conditions’ often so convoluted that you would need to be a legal eagle to pick up on it.